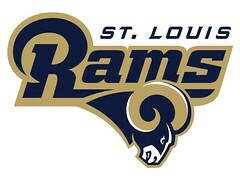 The St. Louis Rams will visit the Detroit Lions on Sunday in the first game of the 2012 season for both teams. The Rams went 2-2 during the pre-season, including a win over Baltimore in their finale. The Lions also went 2-2, scoring 102 points, and allowing teams to score 94. Last season, the Rams were tied with the Colts for the worst record in all of the NFL. St. Louis won just two games. 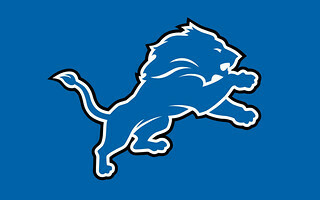 The Lions advanced to postseason play a season ago, falling in the first round. Do you know what the match result will be? If YES this bookmaker provides good odds for this game. If NO, keep reading. We will help. The St. Louis Rams have alot of positive energy as the season approached with new head coach Jeff Fisher, and general manager Les Snead. The Rams still have their top three offensive weapons back. Sam Bradford is in his third season at quarterback, and hopes to bounce back from an ankle injury of a season ago. Steven Jackson is the running back, and another player that has battled injuries over the last several years. The common theme here for the Rams has been injuries. Another key injury from last season – Danny Amendola appears healthy and poised for a big season. St. Louis was out scored by 214 points a season ago. For the Lions, they are looking to return to postseason play. Matthew Stafford feels he is ready and poised for a MVP type season as the Lions quarterback. His top target Calvin Johnson returns after catching 16 touchdowns a season ago. Detroit had an interesting pre-season which finished in a 38-32 win over the Buffalo Bills in the finale. Detroit has several question marks with their running games, as both Jahvid Best and Kevin Smith appear to be questionable with injuries. The Lions hope to get a win in the opener, before they head out on the road the following two weeks. This should be an interesting game. The Lions have enough offense to beat about anyone in the National Football League. The Rams are relatively unknwown, as they have an entire new looking roster. St. Louis will certainly look different with the play schemes of Jeff Fisher and his new coaching staff. The Lions are nearly a double digit favorite in this game. Detroit comes in as -7.5. While we like the Lions to win the game, we like St. Louis to come away and cover the spread in this game. So our bet is on Detroit Lions by spread or money lines. We recommend to make bets with this trusted bookmaker. Enjoy the action between the Detroit Lions and St. Louis Rams, we hope to provide you with a winning bet for this game and many more!